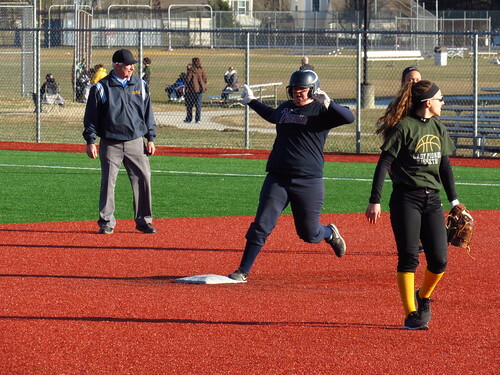 Eastern Regional's Kayla Ottaviano looks excited as she arrives at second base . . . She had to return to first because the original call of a hit batter was changed.